Ito Kashitaro(who was in Shinsengumi) tried to assassinate Kondo Isami and tried to take over Shinsengumi. 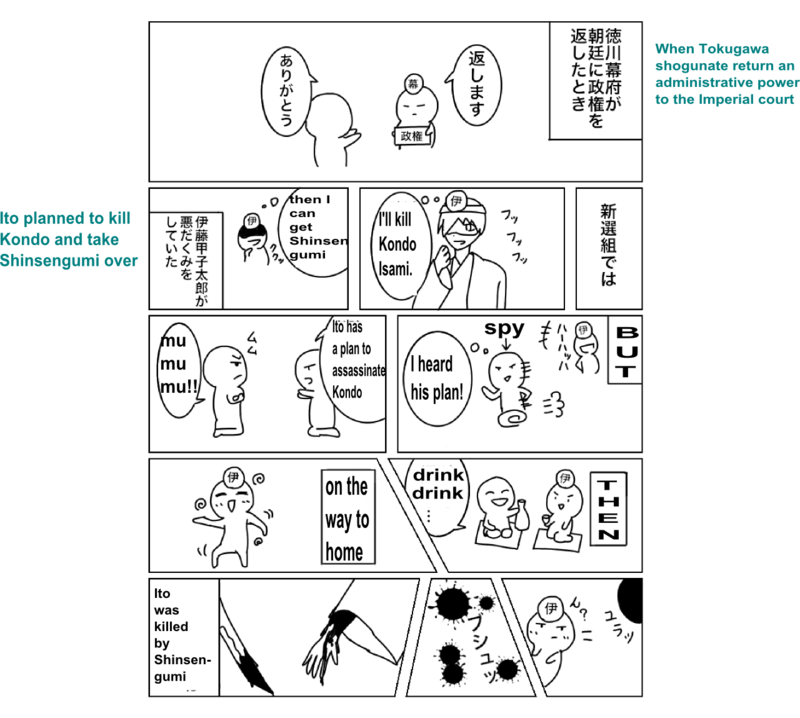 But the plan was made known by the spies previously, Ito and his comrades were lured conversely. Kondo invited Ito for a banquet and got him drunk, then he assassinated Ito and his comrades come to help Ito.